Falling off a motorcycle at 60 km/hr hurts just as much as falling off of a scooter at the same speed. Dress for the fall, not the ride. This includes looking for armored jackets and footwear that offers proper foot and ankle protection. I have a friend who looked great riding in front of me on her purple Vespa LX-150, until she fell off and broke her foot! Scooters are generally quieter than most motorcycles. There are some performance exhaust pipes available which may increase the volume of sound your scooter produces and give you marginal power gains. When buying gear, look for bright coloured jackets or vests to maximize your visibility. You’ll need to be the strong, silent, and seen type. In most of North America, scooters require DOT approved helmets by law. Proper fit is most important. Heads are shaped differently, and helmets are designed for different shapes and sizes. Don’t rush to buy whatever’s available or what the dealer or seller is throwing in to the deal. Was that a “no-brainer”? Remember to protect your eyes with a visor, riding goggles, or sunglasses designed specifically for riding (they keep the bugs/dust from getting around the frame and into your eyes). For inside Toronto, I’d recommend nothing less than a 50cc two-stroke. The two-stroke engine will produce more power and torque than a 50cc four-stroke engine, but both will have difficulty keeping up with traffic on steep hills. Ashley has managed to push a 50cc Derbi Atlantis from Toronto to places like Wasaga Beach and Hamilton and back. A larger displacement engine would help you to maintain acceleration and power on inclines and when riding with a passenger. Few people place enough emphasis on finding a bike with disk brakes front and rear, like the KYMCO Frost 200i for example. Some vintage Vespa and Lambretta scooters are beautiful, but many have drum brakes front and rear. They work well, but there’s a reason more expensive rides come with more disk brakes. We’ve got a full comparison of drum brakes vs. disk brakes here! Just because it isn’t a motorcycle doesn’t mean it won’t get you into trouble if you’re reckless. For even more riding advice visit the Motorcycle Safety Tips page. Women are buying up scooters as fast as they can be shipped. WHY are you displaying a semi-naked girl holding a helmet in your tag line for scooter safety???? This is offensive. Why aren’t you showing similarly UNCLAD men??? Knock it off gang, this is wrong and you know it. I’m sorry if you find the image offensive. In over two years since this post has been published, no one else has ever raised an issue. YouMotorcycle has always featured posts about [url=https://www.youmotorcycle.com/tag/women-riders.html]Women Riders[/url]. We worked with other [url=https://www.youmotorcycle.com/tag/contortionists.html]women in the performing arts in Toronto[/url]. We selected [url=https://www.youmotorcycle.com/adventures-of-a-woman-motorcyclist-summer-2012.html]MISSRIDER[/url] as the $100 Best Motorcycle Story contest winner. We aren’t about disrespecting women. We look up to them! The line before the image reads: “I have a friend who looked great riding in front of me on her purple Vespa LX-150, until she fell off and broke her foot!” What follows is a picture of a woman gearing up next to a Vespa LX-150. The pic is on topic and not meant to offend anyone. [b]Issue #1:[/b] Availability – The only photographer letting me use his images when this post was published (Jan. 2011) was Mondo Lulu. Maybe you can afford to pay for Royalty Free Photography, but I can’t. I also can’t afford a lawyer so I don’t steal images from Google that I don’t have permission to use. [b]Solution #1:[/b] If you find me a picture of a scantly clad man, next to a Vespa LX, holding motorcycle gear, and have permission to use the image, send it my way and I’ll update this post! [b]Issue #2:[/b] Author’s Choice – My guest bloggers and I have poured thousands of hours into over 200 posts full of information for motorcyclists. We do this for free. It’s a thankless job. In fact, people tell us to [i]”knock it off”[/i]. One of the only perks my team gets is being able to choose the images that go with their posts. [b]Solution #2:[/b] If you’d like to see a post with scantly clad men on YouMotorcycle, just join our team and submit your own stories and images! As long as it’s relevant and you have permission to use the pic I’ll go with it! I’m honestly open to working with you, Ann. I know it isn’t your job to scour the internet for hours to find a picture of a scantly clad man holding motorcycle gear next to a Vespa LX 150! I know it isn’t your job to write stories for YouMotorcycle either. I know this because we have a lot in common: these aren’t my jobs either! My team and I have put A LOT into this site. Did you know tens of thousands of people have taken the online M1 motorcycle license practice test I created and only 3 people have ever emailed me to say thank you? Let’s work together and make YouMotorcycle better. Join the team! Share some of your motorcycle stories with us, hunky, scantly clad he-man pictures and all! First, scooters are motorcycles. They have a step through design, an automatic transmission, and brake controls on both handle bars. Any rider interested in learning to ride will discover this. For larger size scooters a drivers license is required to operate one. Scooters are not a separate species of bikes. They are not immune to the laws of physics. They share the same roads and woes of a 2-wheeled vehicles. Acting as if scooter riders don’t know this is kind of insulting. Contrary to the belief, loud pipes don’t really save lives. They annoy the hell out of people, followed by an equal level of confusion. I would never suggest to any scooter rider to alter their bike just to make it louder. The quiet sound is an advantage I enjoy over motorcycles. Why mess that up? Being seen is more important than being heard, and there are many was to make that happen. I think you’re not taking into account who is looking up safety tips and who the intended audience is. Are you? Don’t treat a scooterist as if the are the most noob of 2-wheel riders. Visit any scooter forum and you will find experienced and as knowledgable riders as can be found on any motorcycle forum on the net. 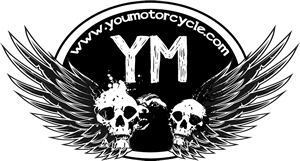 I think if you search the site you’ll find many articles written to help new motorcyclists. In fact, the entire site was founded around the idea of helping new riders. The idea of this post was to include scooters, not to exclude them. I think you’re misunderstanding the purpose of the website, especially in its formative years. Have a look around the old stuff up under LEARN2RIDE in the top menu. You might understand the purpose behind the post a bit better.